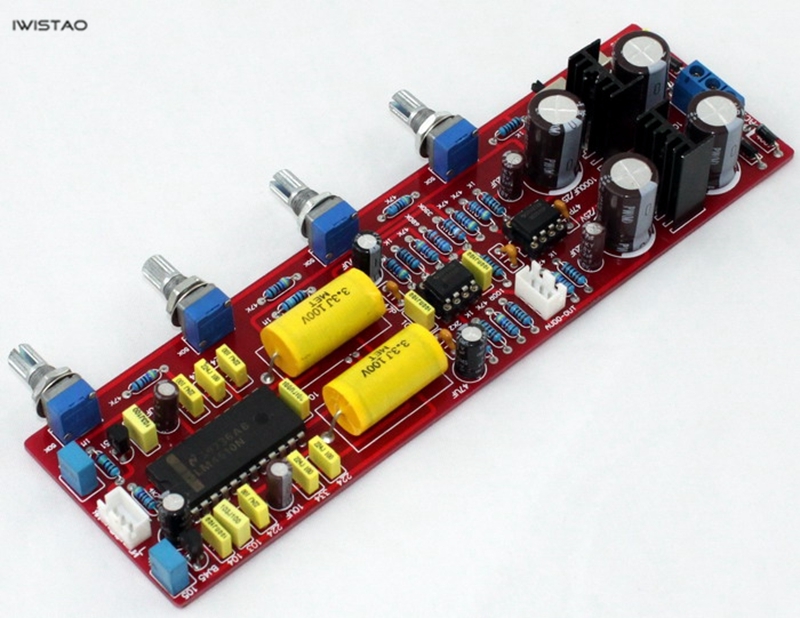 The LM4610 is another HI-FI preamplifier IC introduced by the US NS company after the LM1036. It is an ideal replacement for the LM1036. It also uses DC voltage to adjust the volume, treble, bass and balance of the two channels. The IC also adds 3D sound field stretch adjustment to the LM1036, which also features an equal loudness switch to compensate for the human ear characteristic at low volume. 2. 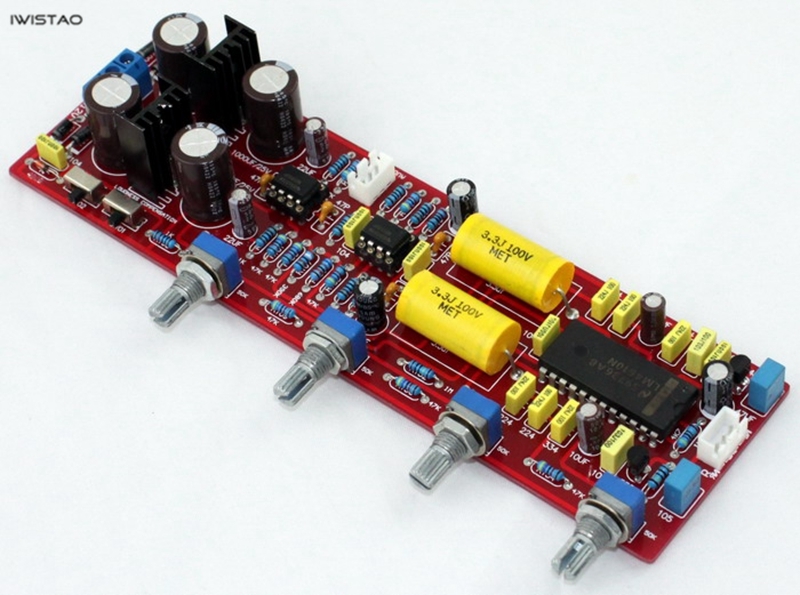 Electrolytic capacitor signal main circuit adopts Taiwan famous brand, main filter capacitor adopts Nikon special electrolytic capacitor capacity 4×10000UF, full-wave bridge rectifier circuit to ensure strong and continuous power support. 5. With fully enclosed dustproof potentiometer, the performance is more stable and more durable than ordinary potentiometer! 7. Switch S1 is a 3D sound switch and S2 is an equal loudness switch. 4. Potentiometer function: bass, treble, balance, volume.